“If the cemetery started in 1850; How can there be graves as early as the late 1700’s?” This question, understandably, has been raised more than once. The answer offers a revealing look at the difficult decisions that had to be made well over a century ago. Some stones came from small family plots located next to homesteads as was the practice in early times. 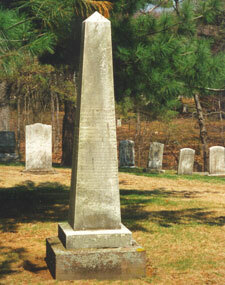 Others that pre-date 1850 are a result of graves being moved to Mount Hope from churchyard cemeteries. 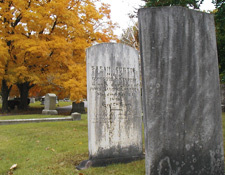 Two notable churchyard cemeteries from which graves were moved to Mount Hope are the Old Kirk Yard cemetery adjacent to the Second Congregational Church in Attleboro and the cemetery behind the Central Congregational Church in the Falls. 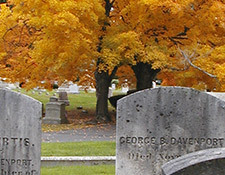 The Falls graves were moved to make additional space available for construction of the church in 1874. The removal of 75 graves in 1870 from Old Kirk Yard were to make way for the Boston and Providence Railroad. And you might ask why the graves were moved from Attleboro to North Attleborough. Remember, the two towns were one until 1887, and many of the families who were originally settlers in the East Village (Attleboro) were members of families in the North Village and the Falls Village (North Attleborough).